By now, Retraction Watch readers are familiar with papers that are withdrawn because of faked data. Those cases may involve pressure cooker environments, bad seeds, or both, but they’re usually intentional. But what if a researcher fabricated findings without even knowing it? The Traver paper is unique in the scientific literature in that its conclusions may be based on data that was unconsciously fabricated by the author’s mind. The paper may merit retraction on the grounds of error or even scientific misconduct ‘‘by reason of insanity,’’ but such a retraction raises the issue of discrimination against the mentally ill. It is perhaps one of the most remarkable scientific papers ever published, not, as it turns out, because of the startling new discovery, but because the Professor had never been infected by parasites. The bugs were hallucinated, the infestation a delusion and Traver was suffering from a mental illness. Known as delusional parasitosis the condition consists of the usually focused delusion that the person is infected by parasites that crawl under the skin and which remain present in the surrounding environment. …Traver did not engage in malicious and deliberate violations of scientific ethics. Ethical problems exist with attempting any retractions that hinge on an author’s madness, however. When a paper with irreproducible results has been published due to scientific misconduct or error, it should be retracted. 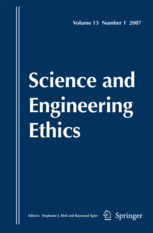 This paper recommends to the editors of the PESW to issue a retraction of the paper on the pre-established grounds of either error or possible scientific misconduct, rather than attempting retraction due to insanity of the author, which would not be ethically supported. If an investigation into scientific misconduct or a retraction are not undertaken, a ‘‘Letter of Concern’’ should be published at the very least to indicate that the results in the Traver paper may not be reliable (Sox and Rennie 2006). Public responses and criticisms of potential cases of misconduct are necessary to maintain the purist enterprise of science regardless of the potential repercussions for the journal, the offending author, or even the critic (Montgomerie and Birkhead 2005). Another commonly cited paper that claims springtails (Collembola) infest people (Altschuler et al. 2004) has also been thoroughly and repeatedly discredited (Christiansen and Bernard 2008). It was published with the aid of an illegally manipulated photograph, a clear case of scientific misconduct that is being cited as grounds for retraction of the article and an investigation into one of the authors (‘‘Call for Retraction: ‘Collembolla Found in Scrapings from Individuals Diagnosed with Delusory Parasitosis,’’’ Shelomi, submitted to Entomologica Americana). The paper has not been retracted. Bonus: Shelomi recently graced Gawker after he answered a Quora question — or, actually, didn’t answer it — on whether it’s OK to kill bugs. From an ethical standpoint, this is fascinating. However, I’m not sure whether it makes any sense to retract papers that are 60 years old. How far back will we go to retract papers? 100 years? 200 years? I am sure that a lot of papers that are 200 years old wouldn’t make sense nowadays. I think that there must be some time interval after which papers are part of the historical record, as much as the scientific record. If papers were accepted by scientists of the era for >50 years, maybe they should be left alone, even if we wouldn’t accept them today. And, there are more than enough problems with modern papers; there is no need to dig through records from 60 years ago to clean them up! I understand pm’s position, but the consequences of just accepting old papers as they are could be severe were this material to be consulted. In my research, I have actively searched for published scientific work that dates back several decades. Most of what I found still makes a whole lot of sense. In case it does not, this should be made public. The aim is not to discredit but, more importantly, to re-evaluate. The historical value of those observations remains intact but the truthfulness of the report should be amended. IN Zoology we often cite papers because of information which is over 90 years old. Of course if its false, it has to be announced before the hoax keep growing. Nature did not essentially change much since the dawn of science, and in many fields methods of observation have remained the same as well. As a doctor, it would be hard for me to take the Traver paper seriously and cite it, other than as an example of delusional parasitosis. I hope scientists in other fields would see the same. Do we know how many times it has been cited? The paper about springtails is another story. A manipulated photograph is certainly grounds for retraction and might not be noticed by readers. I sincerely hope that, before you cite an article, you read it and evaluate its conclusions carefully. On the other hand, the Traver paper should be retracted no matter how old it is. It’s not science, it’s delusional–therefore, an error. The mentally ill have been making unsubstantiated scientific claims since the beginning of time, but not many get a peer reviewed audience. Political correctness (not discriminating against the mentally ill) doesn’t seem like a legitimate reason to maintain a false paper. That being said, Conrad’s comment and nico’s follow-up certainly shows that the delusion shines through and thus the paper is not taken seriously except as an example of delusions parasitiosis. I’ll see you at #scio12, Ivan! Unfortunately, a few people do take the paper seriously. One example is, of course, Altschuler et al., who cited the paper as “proof” that unidentifiable arthropods can infest people. Patients with DP will also take the Traver paper seriously; while they would never accept a retraction due to their condition, they may succeed in using the paper to convince an uninformed doctor or entomologist or family member that they are not crazy. A retraction will help people without DP and without background knowledge of DP separate reality from delusion, even if the patients or family members they deal with cannot. Entomologists analyzing J. Traver’s article about dermatitis from mites successfully pointed out her huge mistake in misidentifying the pathogen. Instead of throwing the book at her, they could have done something more to decode what she was complaining about. Place her insistence on mites aside, and rewrite the article as imaginary cyclorrhapha larval infection. Are the skin and scalp papules and thickenings, streaks and tracks eccentrically furuncular? Are the flare ups and remissions a sign of a facultative cyclorhhapha? Is involvement of the orifices of the head a cyclorrhapha trait? Is the reference to infection in lower mammals compatible? Are the treatments she found helpful adversarial to larval instars? Traver had a zoology laboratory in her residence. What cyclorrhapha would be there? Do those larval instars have nocturnal activation times? Are they positively affected by warm weather? Are they catholic feeders that can infest virtually everything? Do they have a minute, colorless first instar? Are they surreptitious in the environment? She wanted to expose new behavior in mites, and failed. Imaginary cyclorrhapha infestation would have given her an opportunity to fail twice.